Once meaning a simple covered entry over a doorway, the porch has evolved over the last 125 years as a place where families gather, kids play and, if you’re Hintonburg, a spot to watch some great music being performed. 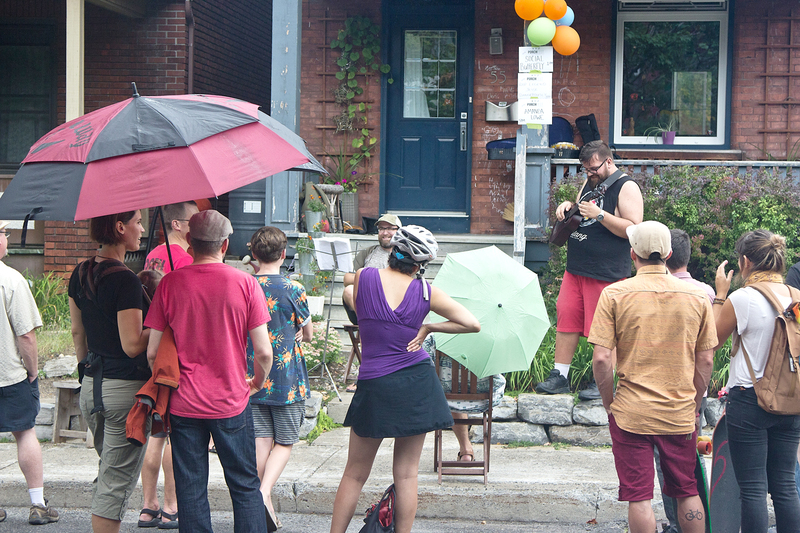 Hundreds roamed about in a drizzle of rain Saturday afternoon for the second annual PorchFest, one of the city’s newest and more unique festivals that strives, for at least one day, to turn neighbourhood porches into places of music and community. This is just another addition to a neighbourhood that continues to expand culturally. Home of the Hintonburg Happening, Sounds Simple Music Series, nearing Westfest and, of recent, controversial street libraries, Hintonburg has really started to shine for some of the best this city has to offer, especially if you’re a music fan! 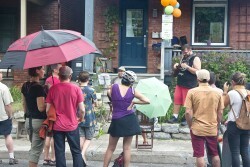 Founder, organizer and PorchFest performer Ken Halin calls Hintonburg a “special little district”. His family moved to the area to be closer to a furniture shop they owned and, since then, have watched the entire neighbourhood transform into one of the cooler parts of the city. Ken Halin belts out a tune from his porch. The idea for the festival was given to him by a costumer and, digging a little deeper, Halin found ProchFest models in Montreal and Hamilton to build upon here in Ottawa. After discussing the idea with the Hintonburg Community Association he found there was much support and, as he likes to say, soon they were singing from the rooftops…err, porches! Even with the condensed number of porches, there was still a lot to choose from scattered about the neighbourhood. Kim, my PorchFest wandering companion from last year, and I met at the Bridgehead on Fairmont where the Pouch Cotatoes were just warming up for some a capella harmonies that instantly made you want to get your haircut by a quartet. Neither of us needing a trim, however, Kim and I settled for lattes and started roaming. We didn’t necessarily plot out our route. Sure, you can make a map and be precise but when it comes to PorchFest Kim and I settle on aimless rambling as a trajectory. We discover more neighbourhood and pleasant surprises that way. Our first came from high above Irvin Street with Imaginary Landmarks were set up on a balcony overlooking Tooth and Nail Brewery. “Hope you can hear me down there,” the lead singer shouted before launching into some guitar pop riffs. The songs trailed behind us as we walked on to see Ken himself set up on his own porch belting out some piano rock. Elsewhere, festival goers could catch a show by the Moonfruits who strummed their dreamy folk pop in the Hintonburg Public House or dance out on an Oxford Street lawn with the Ottawa Valley Ramblers. Stephanie Halin, co-organizer with partner Ken, was excited for what the second year of the festival brought to the neighbourhood. She was out walking around herself collecting donations and selling some of the new PorchFest merch. However, she was quick to stress that they want to keep this as down to earth and low key as possible. “We’re trying to keep this unlike the big festivals, keep it free for the audience and the donations are a way to give back to the musicians,” she says, adding that the concept of developing the new festival not only got them motivation in a community sense but also, for Ken, musically. Halin says that one of the most rewarding things for her and her husband is the sense of community experienced during the festival and how neighbours who had lived so close together for many years finally would meet and have a conversation. Last year the festival had just over 20 performers. This year PorchFest had a roster of 50 different groups spread out over the afternoon. Community members had no problem opening up the neighbourhood the foot traffic and, at least for people like Deborah Ironside, sharing their porch again for the performances. As The Jimmy Tri-Tone Band performed in the background, Deborah told me about how the porch we stood on was entirely rebuilt by her father from the ground up. She’s very proud of it and on this day, when the rain came, she dragged some chairs out onto it so people had a place to stay dry while watching the show. As we talked we watched as a larger crowd gathered on the lawn and more people, perhaps confused by what was going on, walked by, eyes locked onto the band, before turning the corner. I had to laugh as a father pushing his child in a stroller hurried by the crowd, both father and infant turning at exactly the same time to see what was happening up on the porch. It’s easy to see what was turning the heads. The Jimmy Tri-Tone Band was amazing. Though both Almonte natives, Randelle Ashley and James Walters never crossed paths in their hometown only meeting later in life. James started playing guitar as a kid, strumming away at family bonfires and Randelle took piano lessons and later moved towards the base. 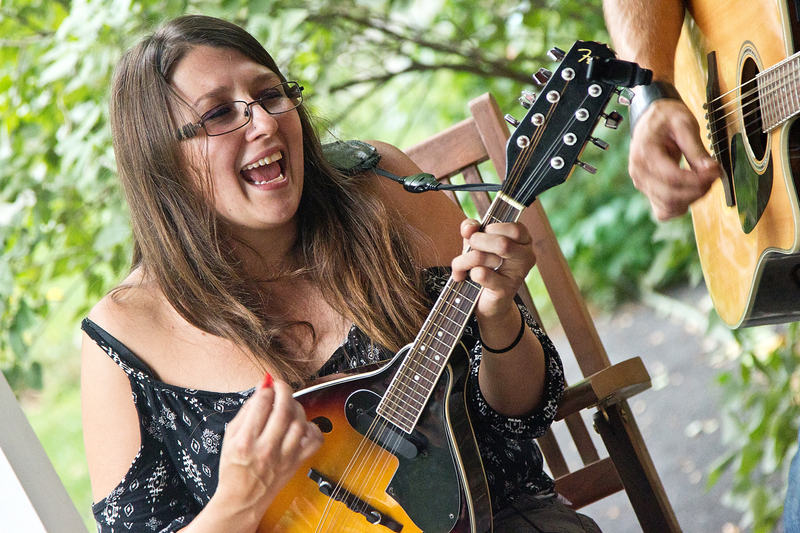 Today, playing an acoustic set on guitar and mandolin, the group shared stories on how some of their songs came to life, their travels, living in near woodland solitude and, of course, along with some of Deborah’s windchimes, played some beautiful music. 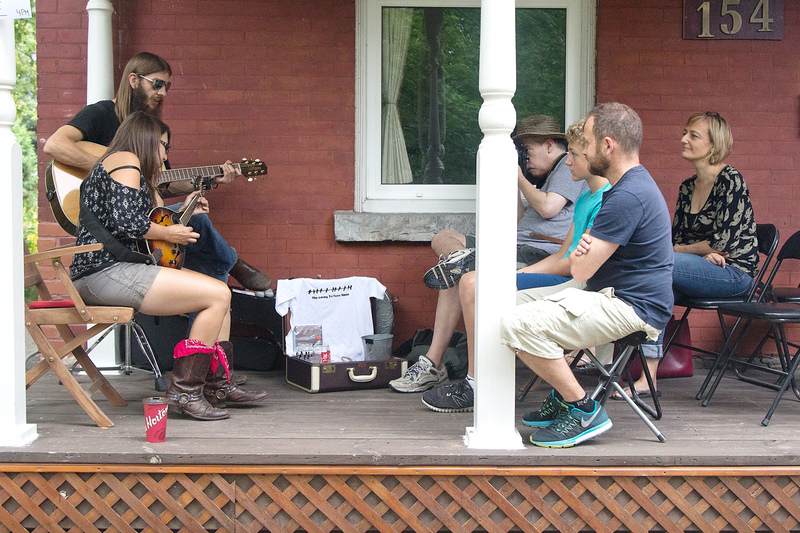 At PorchFest, you could introduce yourself to a lot of different musical styles and explore local acts you may not have known existed. 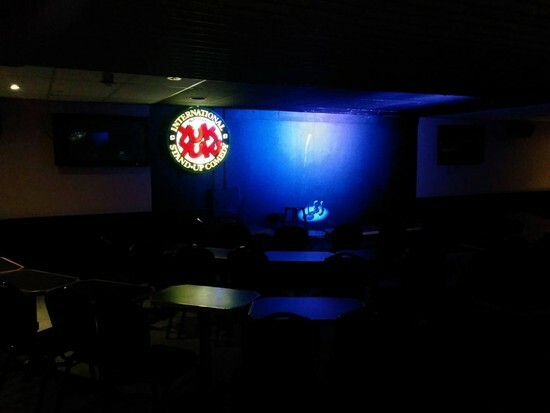 Ottawa has a lot of musical talent out there. Over at 55 Spadina was the hip-hop rhymes of Rap Legend Jesse Dangerously, at the Tooth and Nail they were toe-tapping to The Backsliders Bluegrass Band, Mister D. and Garrison were playing the Blues at 58 Stirling and Julie Corrigan was sharing her wonderful songs inside the Record Centre. That’s just a sampling of what you could have experienced walking around Hintonburg Saturday afternoon. 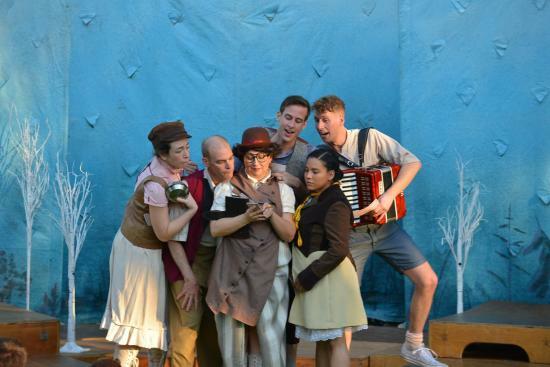 Ottawa’s original professional Shakespeare company.